The ANU Malaysia Institute will hold the 2018 Malaysia Update conference on Thursday 11 October, and Friday 12 October. The conference provides an opportunity to examine the recent momentous changes in Malaysia, including the first regime change since independence in 1957, attempts to establish a new democratic nation, and its regional impact. The conference will feature world-class expertise from leading academics of Malaysian Studies. Attendees will include academics within the ANU College of Asia and the Pacific, as well as government representatives and policymakers, diplomats, students, and the general public. The aim of the conference is to providing fresh thinking about the ways forward for the study of Malaysian society in scholarship as well as reflect on recent changes in Malaysia’s politics, economics and society which may reflect policy-making decisions. The conference features keynote address by Malaysia's Deputy Defence Minister, Liew Chin Tong, and welcome remarks by Professor Michael Wesley, Dean of the ANU College of Asia and the Pacific, and Julie Heckscher, First Assistant Secretary, Southeast Asia Division, Department of Foreign Affairs and Trade. 3-5pm Keynote panel – What are the prospects for political reform? 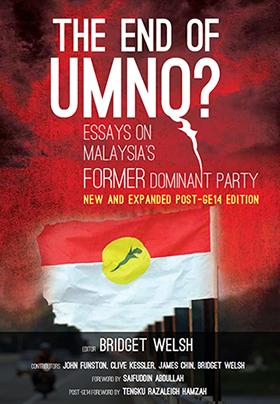 Meredith Weiss (State University of New York): Has patronage lost its punch in Malaysia? Serina Rahman (ISEAS-Yusof Ishak Institute, Singapore): Many moons since GE14: what are the views of the rural Malay voters? Registration is free but essential via Eventbrite. Image by Maher Najm on Flickr.